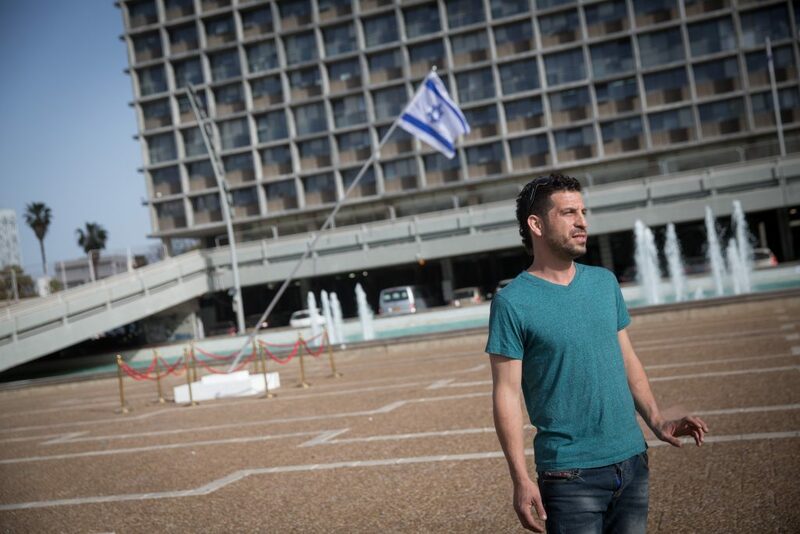 Zalait, the radical artist who several years ago set up a golden statue of Prime Minister Binyamin Netanyahu in Rabin Square to protest what he said was the government’s insensitivity to the poor, this time apparently targeted Regev over her promotion of the Culture Loyalty bill, which allows the government to take away money from budgets of cultural institutions that act against the interests of the state. The bill, which has garnered much criticism, passed its first reading in the Knesset this week. The heads of many of the cultural institutions affected by the bill have signed petitions and held protests against it, and have pledged to ignore the law’s strictures. The statue was place in the center of Habima Square in Tel Aviv, a large plaza outside the building of Israel’s most prestigious theater. Zalait titled the work “Heart of the Nation,” and commenting on the display, Zalait told Hadashot News that he had termed it that because “Minister Regev is a figure that is at the heart of important events in the nation. Anyone can interpret what it means in any way they want. I started working on this a few months ago, and it can go in many directions.” Zalait removed the display later Thursday morning.